Back when we were young and untethered, the hubby and I upped and moved to San Diego. We felt more at home than the small town we hailed from, so it’s no mystery that we plan on returning one day. Last night while taking one armful of laundry out of the dryer and throwing in the next, I was reminded of the first place we lived. More specifically I was reminded of the chick who lived in the granny flat behind our house. Normally I’d say woman or young woman, but this gal was the very definition of chick. She dotted her i’s with hearts and her name rhymed with Gimme. I didn’t have any gripes about her other than the laundry room situation. We shared a washer and dryer. No big deal. I only did 3 loads of laundry a week, tops. That seems preposterous now. I practically do 3 loads a day! Funny how the addition of such a little person creates so much more dirty laundry. It makes sense to me now that both the washing machine and the dryer were always jam-packed with “Gimme’s” clothes, as well as her son’s and daughter’s things. At first I was polite about it. I’d take her stuff out of the dryer and neatly arrange it on top. But it felt utterly wrong touching a stranger’s underthings…even if they were clean. So as time went on, I’d just stack everything in a huge lopsided tower on top of the dryer as there was no other place to put it, feeling some sort of weird vindication when it all ended up on the dirty ground. When I couldn’t take it anymore I asked her to clean it up. 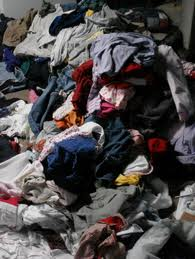 Her clothes were everywhere, like a teenager’s bedroom floor. I don’t remember if it ever got better. We moved out after our one year lease was up. We loved that house and probably would’ve stayed if there had been an actual Granny living in the granny flat. Now when I open my dryer door and see a load of laundry from days before, I think of Gimme and how hard it must have been for her to do anything being a single mom to 2 young kids. Then I think I shouldn’t have been so annoyed with her, that she was probably doing the best she knew how. Perhaps it’s my karma to always have a dryer full of clothes now for ever passing judgement, for ever thinking that I would never be like Gimme. I still think there’s something wrong with a grown woman dotting her i’s with hearts. Natalyn told me about your blog and I just recently signed up. I’m laughing out loud (or LOL) at every story. You are so very talented. You remind me of a writer I would follow that wrote funny new mommy stories when Kelsey was a baby. I’ve been looking for some of them I’ve saved to send to you. Unfortunately, many of those things have become buried over the last 21 years. Beware, it will happen to you. I have been racking my brain trying to remember her name….agggrrrrrrr Oh well, that will happen to you, too. Keep writing. I love it! Ps I see a book in your future. Ever hear of Erma Bombeck? She was one of the great everyday life story tellers of our time. Thank you! Your kind words mean so much to me as most of the time I feel like a wanna-be. : ) Reading your comment makes me want to keep on moving ahead. I would love to read the stories that you mentioned. Please let me know if you think of the author’s name. And the next time I’m at the library I’m definitely checking out some Bombeck. I know I’ve heard of her, but I don’t think I’ve ever read any of her stories. And yes, I know what you mean about things getting buried — literally and figuratively — I’m already there. : ) Guess it’s part of being in the “mummy” club. It’s amazing how your perspective shifts when you become a mom. I love it that you acknowledge what it must have been like for her, even though you couldn’t completely understand it then. I love the quote: “Be kinder than necessary, for everyone you meet is fighting some kind of battle.” Can’t say I always do that, but I try. Also, completely agree about the hearts. Yes, my eyes have been opened in a million new ways since becoming a mom. Great quote! I’ll try to remember that in my day to day. And that my battle is a mere blip compared to many others. Erma Bombeck has about 15 books. 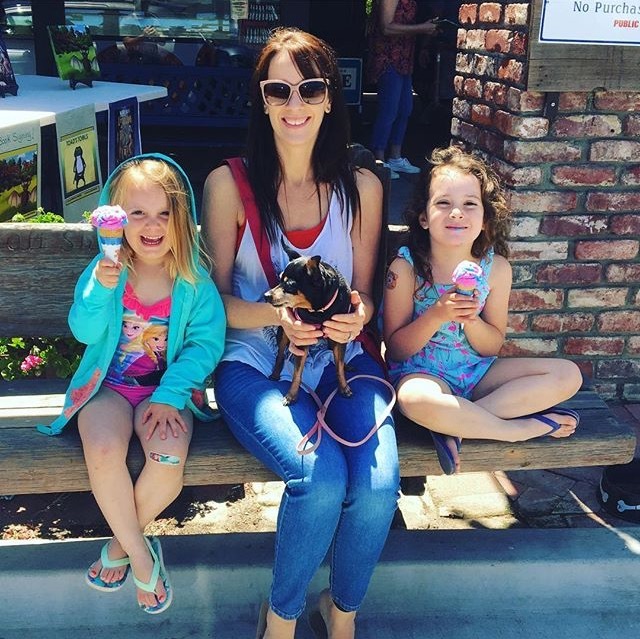 Two of my favorites, “If Life is a Bowl of Cherries, What am I doing in the Pits” and “Motherhood, The Second Oldest Profession” Just reading the titles makes me laugh….hope you find these and the others. Of course, we know you will be reading in all your spare time! Ha….